Labour is committed to the delivery of affordable homes for families, building up a properly regulated long-term rental market and investing in social housing. 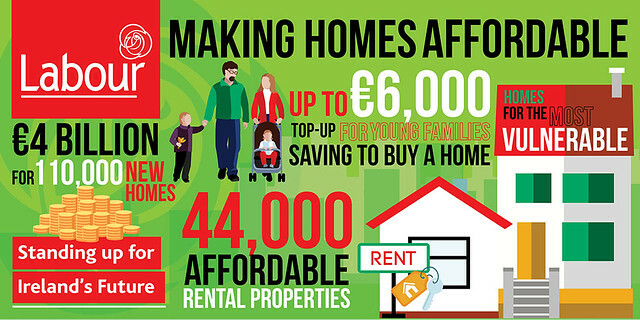 In Government, Labour has launched a €4 billion housing programme to deliver 110,000 social housing units by 2020. Download our policy document in this area (4504k).